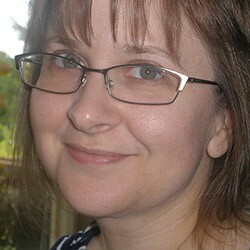 Establishing the entire foundation of a new series in a novella is a daunting task and Mary Connealy has done a more than credible job. In this brief story, we see what drives Chance Boden to leave Boston for the wilds of the New Mexico Territory on a mission to reconnect with his four year old son, Cole, and with God. We meet the woman he marries to hold the land her father gave his blood to protect. We learn the roots and see new seeds planted for future threats and conflicts, while the characters of the three Boden children (Cole, Justin and Sadie) are established. But what I feel is the main take-away is the strong sense of the devotion to family that leads Chance to build a legacy for his children - both the ranch and a love of God. He leaned close and his lips touched her temple as he whispered, "I will take care of you. You're safe. You're not alone." Though this at times suffers from the rushed feel that many novellas have, a too common side effect due to the brevity of the form, it is well worth reading. While more somber and serious in tone than I expected from Connealy, it does have moments of humor that are simply precious. Having a four year old interrupt a tender moment and later question certain aspects of married life is the perfect touch of humor from an author who says she writes "romantic comedies with cowboys." If you are a fan of clean historical romances set in the American Old West, western stories and/or romances in general, or just an enjoyable and uplifting story, then this is well worth checking out (or downloading - currently free on sites like Amazon, Barnes & Noble, and ChristianBook.com). 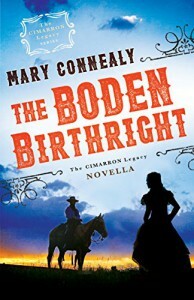 Especially recommended for fans of Mary Connealy, of which I count myself one having adored her Wild at Heart trilogy. I'm looking forward to the novels of this series with great anticipation. Sadie will be the Boden featured in the first novel, No Way Up, scheduled to be published in July 2016. An excerpt is included at the end of the novella, though I won't be reading it. I might like it too much, and then waiting is so much harder. This review was originally published on bookworlder.wordpress.com Please do not reblog without permission.